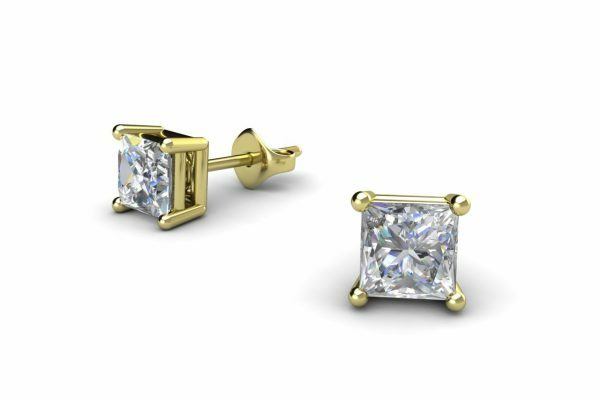 This pair of 4 claw princess cut diamond earrings are from our Classic Collection. 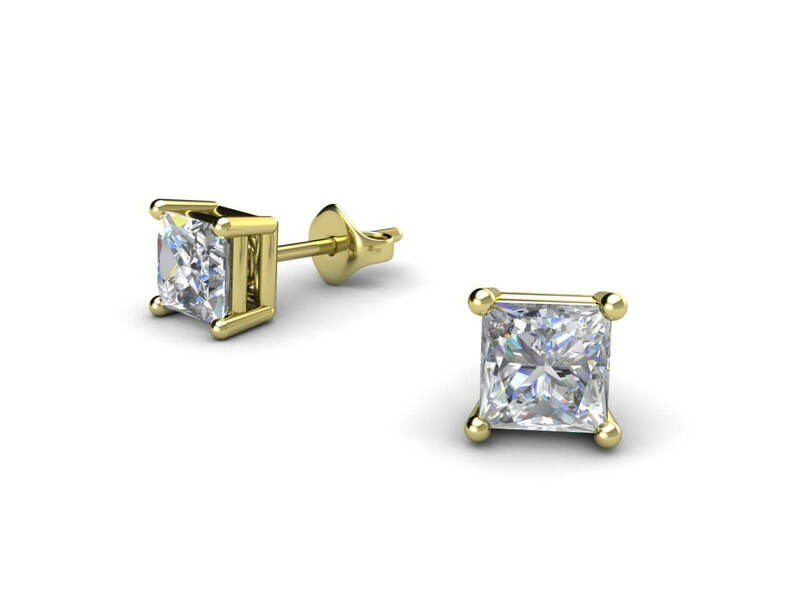 The matched pair of near-colourless diamonds are secured at the corners by 18k gold settings with back posts for pierced ears. The pair has a minimum total weight of 0.25ct.